It is blueberry season. Like any other berry the season does not last too long, 4-6 weeks at the very most. We love blueberries and have some here, not enough for us to get the 50 or so pounds we need until next year! So plans were made to get to a pick your own orchard, with an early departure followed up with a visit from a friend. Early morning rain storm. Too cool temperatures coupled with not right clothes cancelled berry picking. 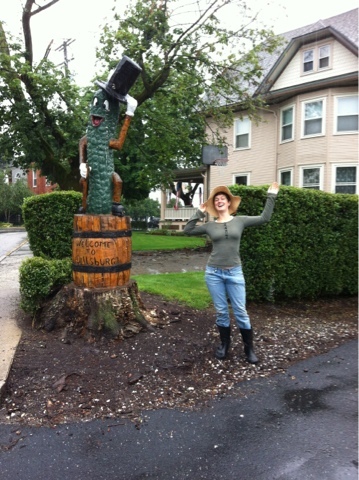 Time enough in Dillsburg PA for I photo with the...pickle...and back to the farm for a visit and tour. Cool and rainy all day, and end up with time on our hands. 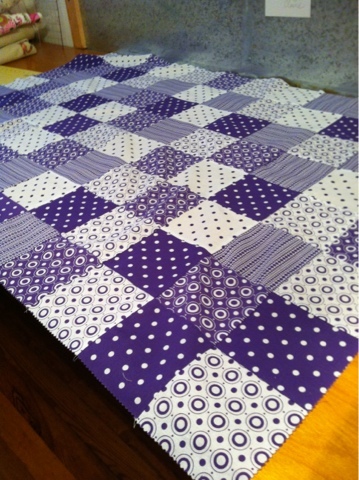 I finished piecing the top of a quilt I'm working on...machine quilting comes next, oh boy! 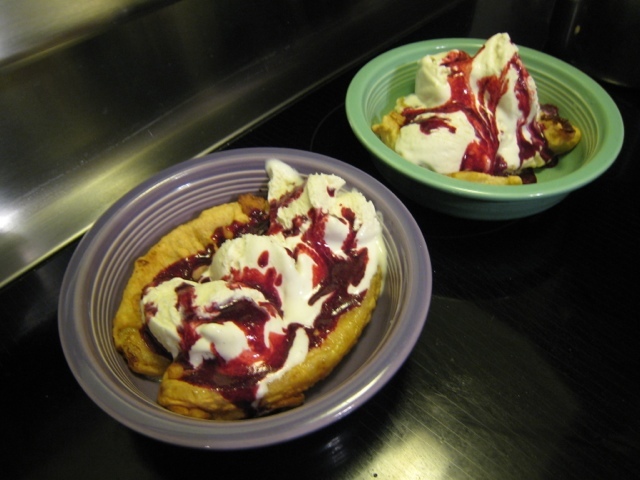 And berries picked here on the farm...black raspberries and blueberries went over banana tempura and vanilla ice cream. After the best steak and potato/no greens ever dinner. That is what happens on a rained out farm day!